Very curiously the forensic image of Jesus is similar to this description! Then what about the Shroud of Turin image!? The man behind the Shroud! If it was created, it must have been done by someone with extraordinary skills. The evidence points to one man, one of the greatest geniuses who has ever lived-Leonardo da Vinci. The fabric could have been hung over a frame in a blacked-out room and coated it with silver sulfate, a substance readily available in 15th century in Italy which would have made it light-sensitive. When the sun's rays passed through a lens in one of the walls, da Vinci’s facial shape would have been projected on to the material, creating a permanent image! Leonardo- The Man Behind the Shroud!?
" 6And so Simon Peter also came, following him, and entered the tomb; and he saw the linen wrappings lying there, 7and the face-cloth which had been on His head, not lying with the linen wrappings, but rolled up in a place by itself.…"
Both Sudarium and the Shraud of Turin are venerated as the holy relics of Jesus by the catholic church. 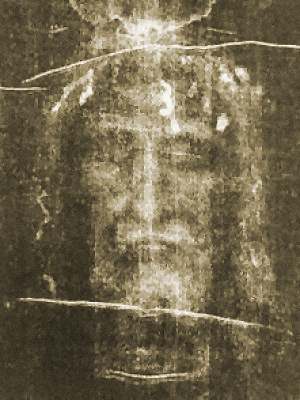 If sudarium was covered on the face of Jesus, and on it there is no image of Jesus, then how could the Shroud of Turin got the image of Jesus!? And that is faith!? - Each artist drew Jesus according to their imagination and information they had of Him, so they must be different!? - Or did the church influenced them or wanted them to create His image how they wanted!? 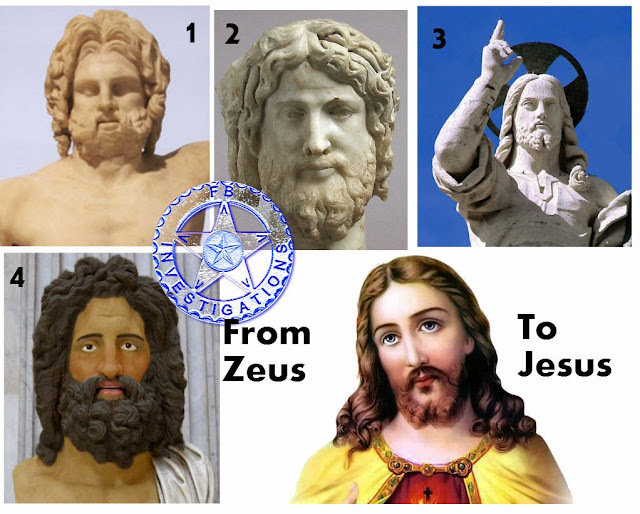 - It seems exactly the church wanted to recreate the image of Jesus in the very likeness to another god, the Greek god ZEUS!? - Just because the new religion has to substitute the old one and the new god the old god as well!? 5. Jesus: "... a noble and lively face, with fair and slightly wavy hair; black and strongly curving eyebrows, intense penetrating blue eyes and an expression of wondrous grace...." as the church want Him to be, a royal blood! - You read only what the church tell you, the rest are in the INDEX! - You spread only what the church teach you, the rest are Heresy! - You believe what the church profess, or face Excommunication! - The god created you with free will and you don't use it, that is faith! Discovery News: Jesus as Roman HOAX!! 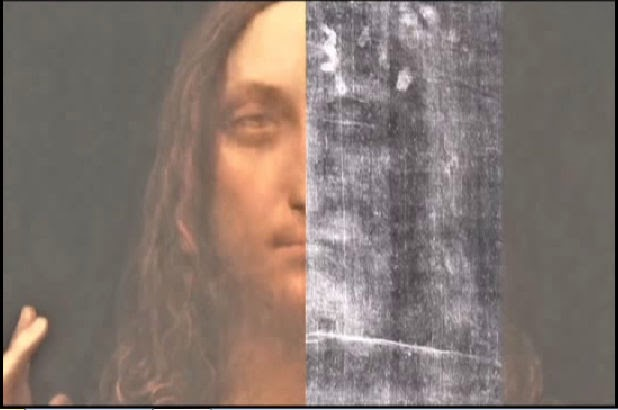 CNN news The Turin Shroud, which measures 14ft by 3ft, is unlike the burial practice of the time which used separate sheets for the head and body of the deceased!? Blood group of the Shroud 'AB'!? Match up between the two! Scientists and forensic specialists opinion! ?